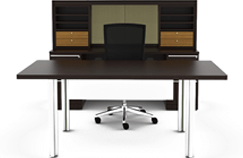 Providing a vast selection of new and used office furniture in the Dallas, Texas area and around the nation! Furniture Wholesale Group provides new and used office furniture from Clear Design, Open Plan, Darran, Scale 1:1, Cherryman, 9to5 Seating and more. Thanks to our close relationships with major furniture manufacturers, we have access to any office furniture and décor you need to complete your ideal workplace environment. At Furniture Wholesale Group, we offer products from a selection of more than a hundred quality office furniture manufacturers. We build strong ties with the manufacturers of the products that we supply, allowing us to recommend new and used furniture from those that meet our strict standards of quality. 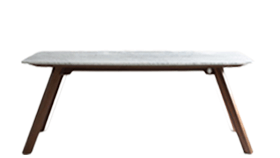 Furniture Wholesale Group is a premier supplier of quality new and pre-owned furniture in the DFW Metroplex. 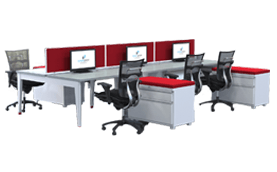 We offer the most competitive prices and the best available options in modern, contemporary, and traditional styles in today’s office furniture market. Our goal is to save you time and money with our extensive inventory of new and used workstations, desks, benching systems, lounge furniture, break room furniture, training room furniture, conference room furniture, and more in the Dallas Fort Worth area and nationwide. At Furniture Wholesale Group, we’re committed to helping each customer from start to finish. From space planning, quoting, and design work all the way to delivery, installation, and cleanup, we offer total project management for your new or pre-owned furniture needs. We fully understand the different applications needed by each company we serve changes as time goes by – that’s why we take the time to utilize careful foresight and space planning. As a long-time family-owned business providing office furniture solutions to the DFW area, we are proud to offer better pricing and a more personal interaction with our customers. We’re small enough to care, yet big enough to handle even the most complicated and large-scale workplace furniture makeovers. For decades, our team has delivered high quality furniture to businesses throughout the DFW and nationwide, consistently tailoring our selection to ensure top of the line products for our customers. 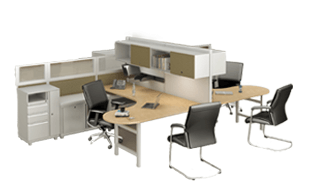 Furniture Wholesale Group is your go-to wholesale source for office furniture in North Texas and beyond. Contact us today to learn about our services, or browse our online catalog to view our extensive collection of workstations, desks, benching systems, lounge furniture, and more. Contact us for assistance on your furniture project!